Lirkia is a very small village with only 511 inhabitants built on the feet of the mountain Lirkio. The village was famous for the tobacco plantations that villagers used to grow formerly, but today they are mainly occupied with the cultivation of olive trees and with vineyards. 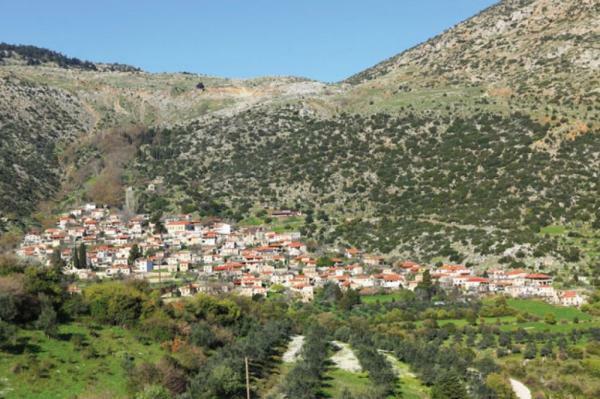 Lirkia, or otherwise called Kato Belesi, is the capital of the municipality and its name is originated from the ancient city of Lirkia or Ligkia. Perhaps the city was named after Lirkos, who was also the founder of the city, son of Ligkias and Hypermnistras. The village stands on the area of one of the most ancient establishments of the Argolida Prefecture. The city of Lirkia was considered to be a very important city center even from the 3rd millennium B.C. During the Mycenaean era it lost its glory until the 3rd century B.C. when the city lived new glorious years. The role of the village during the Greek revolution was very important too. At the beginning of the revolution Captain Giannakos Dagres and his brother gathered the villagers from Lirkia and Karia to fight against the Turks. They even bravely fought when the city of Tripoli was besieged by the Greeks. Captain Giannakos Dagres was present and fought at many important battles of the Greek revolution, even fighting against the powerful army of Ibrahim. He had such a strong personality that he didn’t hesitate to sentence to death the traitor who revealed to the Turks leaders of Tripoli the plans of the Philiki Etairia. In August of 1821 the Dagre brothers felt into an ambush of the Turks, Giannakos managed to escape, but his brother Thanasis shot himself in order not to be slaved by the Turks. A number of important archaeological findings exist not only at the village but at the surrounding area as well. Ruins of the ancient city were discovered at the place called Paliokastraki. Parts of the high walls have been preserved, while parts of ancient roads and bridges have been discovered around the area of the village. Very close to Lirkia parts of the ancient road called “Climax” are found. It was one of the most important ancient roads connecting the city of Mantinia with all the other cities of Argolida. At the village Sagka of the Arkadia Prefecture the well-known crossing of Portitsa is found. It stands on an elevation of 1074 meters and one can easily perceive the human interference in the made cutting. The total length of the passing is 22 meters and the maximum width is as much as 5 meters. When Pausanias the traveler crossed the ancient road during the 2nd century D.C. he wrote at his notes that it was almost destroyed. At the small village Akova a small church exists built during the years of the Turkish occupation. if you wish to visit the church, you must come up some stairs and walking through a narrow path you will find “the cave of Tsokris”. This cave used to be a shelter during the years of the Turkish occupation. At the village Houni we come across another church built within a cave too. This church was dedicated to Agia Jerusalem and was used by Giannakos Dagres as his well protected base of operations. The neighboring village of Karia is blanketed by a plane forest, where the visitor is able to enjoy the beauty of nature. It has to be note that E34, the mountain path, starting from Ancient Olympia passes through the village of Karia.